Why Is The Egypt Revolution Special? 3. Massive impact of Quantitative Easing or QE that has increased asset allocation and speculation in commodities significantly. Egypt is just the beginning of a complex digital and socio-economic chain reaction and more dominoes are likely to fall as contagion spreads. Why? Ideas now travel at the speed of light on digital networks and once released into the wild they cannot be deleted, blocked, or simply ignored. The recipe for creating digitally driven leaderless revolutions* is like the genie which has come out of the bottle post Tunisia and now Egypt. It cannot go back in. The entire world’s digital networks — internet, mobile and satellite TV — are massive mind amplifiers that create a colossal echo chamber and the reverberations continue. Throughout history, the West often took ideas and inventions from the shores of the Mediterranean: from agriculture to the alphabet and from soap to monotheism. Yet many feel that what is going on around the Mediterranean in North Africa and in the wider Arab world is somehow exogenous to them. Massive protests now unfolding in Italy demonstrate that the democracy-via-demonstration contagion is spreading to Europe and now becoming endogenous. At the same time, Italy warns of a humanitarian crisis as it faces a flood of Tunisians and Egyptians: 1,000 would-be migrants arrived in three days. Western graduates without work; gloomy prospects about social security; and ruling elites out of touch with reality; might trigger social movements earlier than we think. As a result, the mechanism of digitally driven mini-revolutions may spread to numerous Western European countries and parts of North America. A secular popular revolt in the most populous Arab state, using nonviolent means, has humbled an entrenched autocrat. Given the intellectual and cultural gravity of Egypt, this carries the potential to remake the mould of the entire Middle East. The Egyptian milestone of 2/11, 2011, has the potential to mark the end of the era that began on 9/11, 2001. Egyptians have had a civilisation longer than almost anyone else in the world. Egyptians are pragmatic people who are emotional right now: we would also be emotional if we had been living for several decades under repression. 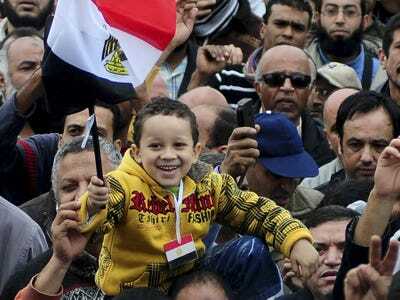 History may record 2/11, 2011, as the start of Al-Nahda Mark II in Egypt in the 21st century. Al-Nahda — النهضة‎ is Arabic for “awakening” or “renaissance”. It was a cultural renaissance that began in the late 19th century and early 20th century in Egypt. That awakening or renaissance then later moved to Lebanon, Syria and other Arabic-speaking countries across many parts of the diverse Islamic world. In opposition to 400 years of phlegm stemming from Ottoman dominance, intellectuals started to write multi-lingual Arabic dictionaries, fostered educational concepts and were passionate for new ideas to reinvigorate the stasis, ie, standing still. If the promise of greater democracy is achieved, Egyptians will have dealt a stunning blow to extremism and radical groups. For the moment, it is slightly chilling that something called “The Supreme Council of the Egyptian Military Forces” now has complete control of Egypt. The military has been the mainstay of the Egyptian regime since 1952, when Nasser took over in a coup. So it has been the bedrock for over six decades. The military, very skilfully, appears to have manipulated the events of the last two weeks in order to ensure that it would remain in power regardless. The military has always been, is and will be in power for the foreseeable future until a democratic system can be mapped out. The role of the military, for good or ill, fills a vacuum. Whilst the police and security forces are feared, there is no other acceptable organised alternative. Will genuine democracy just “appear” in this land of one of the most ancient human civilisations? Whilst it can be relatively swift to see the results of digitally driven leaderless revolutions*, building a new democratic structure of governance takes a lot of time and may or may not materialise in the short to medium term. Differing examples of the United States in 1776, France in 1789, Russia in 1917, India in 1947, China in 1949, Iran in 1979 and Eastern Europe in 1989 come to mind. The need for instant gratification is such that whilst it may be possible to garner a digitally driven leaderless revolution* almost like the time to get a burger in a fast-food joint but that may not translate in terms of time for building a large mansion to live in, which could take years! This asymmetric aspect of the time involved to achieve a digitally driven leaderless revolution* and to achieve a stable and world class democracy may be lost on the digitally-enabled revolutionaries who may become frustrated or disillusioned along the way. Further, the military is a state within the state and it is prospering; it has many stakeholders that will not cede power too quickly. Constitutional negotiations between the people, the military, various organisations including the Muslim Brotherhood, business leaders, and foreign powers need to take place before anything approaching a stable and responsive political system emerges. This could take time and the outcome may be work-in-progress for years. Even though military rule will only be in place during a transitional process leading up to the next election, there is always the possibility that the military’s top general could change his mind and start loving the presidential palace and the trappings of power a little too much! However, even Mubarak could not cut off Egypt’s digital and mobile communications for too long because of the cost to business. Digital networks — internet, mobile and satellite TV — are the most powerful “democratic tools” the citizens of any country have at present to safeguard their rights in the face of ruthless autocrats and their military might. The scenario of the relatively slow process of “constitutional negotiation” is the most realistic, which makes it a slow journey towards democracy at best and a perilous one regardless. 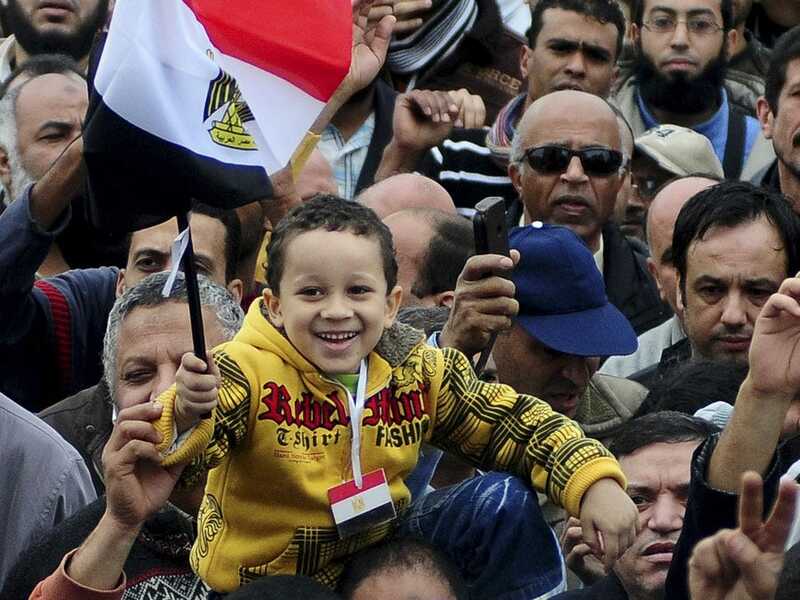 Polls are beginning to show that the Egyptian population largely rejects fundamentalism and extremism. Islamist propaganda argues that violence and a puritan form of Islam is the only way to save the Muslim world. Egypt now points to a clear alternative. However, if Egypt slips back into a new dictatorship or anarchy, extremists could find a fresh foothold and a new lease of life in one of the most critical Arab populations. The stakes for the US in particular, and the West in general, in a region that has long confounded it are extraordinarily large. Everything hangs in the balance: the Egyptian revolution could be a huge defeat or a huge victory for extremists. It depends on what happens next. The Egyptian economy needs to grow at least seven per cent a year to create the jobs necessary for the mass of underemployed. Often-over-educated young people, who have been crowding the streets in recent weeks, are overwhelming the system. Simultaneously, economic issues such as widespread illiteracy and the youth bulge that troubled Egypt prior to its revolution remain intact, and are not easily overcome. Economic power is still in the hands of military-linked plutocrats and oligarchs, who are not terribly interested in reforming the system that has made them obscenely rich. It may take decades to turn the national socio-economic structure around whilst digital social environments breed impatience and demand immediate action and change. It is much less clear that the existing digital social media will be useful for organisation of groups managing effective long term projects to fix what is broken. There is a possibility of revving from one digital revolution to the next rather than ever getting to a stable state. This could breed chaos and become highly dangerous. World powers will have to redefine what they mean by an ally’s stability. We will also also need to decide whether we stand for freedom — so long as others don’t get it and we can remain ‘stable’ — or we stand for it without any caveats. Politicians everywhere will need to make decisions to choose between: standing for allies with entrenched interests; stability and/or freedom. For many, this won’t be easy. Exit of the 82-year-old president Mubarak puts new pressure on other long-sitting rulers in the Arab world and elsewhere to reform or to meet a similar end. Which top 11 countries are at risk of becoming the next Egypt? Algeria, Morocco, Libya, Yemen, Jordan, Syria, Saudi, Iran, Pakistan, Venezuela and China. It now seems that populations in European countries like Italy are being galvanised into action by what has transpired in Egypt. More countries in the EU could follow. Although China is located a long way from Egypt many Chinese would have watched events in Tahrir Square through the prism of Tiananmen Square — and wondered where and why their own revolution went wrong? We welcome your thoughts, observations and views. Alternatively, to reflect further on this, please respond within Yammer, Twitter, LinkedIn and Facebook‘s ATCA Open and related Socratic dialogue platform of HQR. The “ATCA Open” network on LinkedIn and Facebook is for professionals interested in ATCA’s original global aims, working with ATCA step-by-step across the world, or developing tools supporting ATCA’s objectives to build a better world. The original ATCA — Asymmetric Threats Contingency Alliance — is a philanthropic expert initiative founded in 2001 to resolve complex global challenges through collective Socratic dialogue and joint executive action to build a wisdom based global economy. Adhering to the doctrine of non-violence, ATCA addresses asymmetric threats and social opportunities arising from climate chaos and the environment; radical poverty and microfinance; geo-politics and energy; organised crime & extremism; advanced technologies — bio, info, nano, robo & AI; demographic skews and resource shortages; pandemics; financial systems and systemic risk; as well as transhumanism and ethics. Present membership of the original ATCA network is by invitation only and has over 5,000 distinguished members from over 120 countries: including 1,000 Parliamentarians; 1,500 Chairmen and CEOs of corporations; 1,000 Heads of NGOs; 750 Directors at Academic Centres of Excellence; 500 Inventors and Original thinkers; as well as 250 Editors-in-Chief of major media. The Philanthropia, founded in 2005, brings together over 1,000 leading individual and private philanthropists, family offices, foundations, private banks, non-governmental organisations and specialist advisors to address complex global challenges such as countering climate chaos, reducing radical poverty and developing global leadership for the younger generation through the appliance of science and technology, leveraging acumen and finance, as well as encouraging collaboration with a strong commitment to ethics. Philanthropia emphasises multi-faith spiritual values: introspection, healthy living and ecology. Philanthropia Targets: Countering climate chaos and carbon neutrality; Eliminating radical poverty — through micro-credit schemes, empowerment of women and more responsible capitalism; Leadership for the Younger Generation; and Corporate and social responsibility.